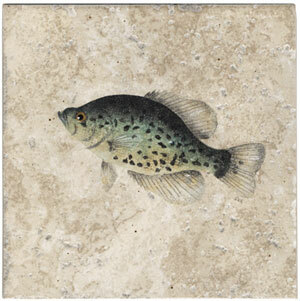 Crappie Fish 6.5" x 6.5" inch tile made by Stephanie Kaczrowski. Each design is made with a custom stencil Stephanie makes. She uses commercial floor tile and glazes them with china paints and refires each tile at 2000 degrees for durability.  The tiles can be used in kitchens, bathrooms, fireplaces, floors and as trivets.